Life is hard. Isn’t it? There are so many beautiful, precious moments along the way, but there are also some gut-wrenching difficulties. Life doesn’t pick and choose who has to wage this battle or that. We all get chosen at one point or another. Those moments become etched in our hearts. In our souls. Some of us put our fists up ready to fight. Some of us curl into a ball. But however we choose to respond, the battle comes to our front door anyway. 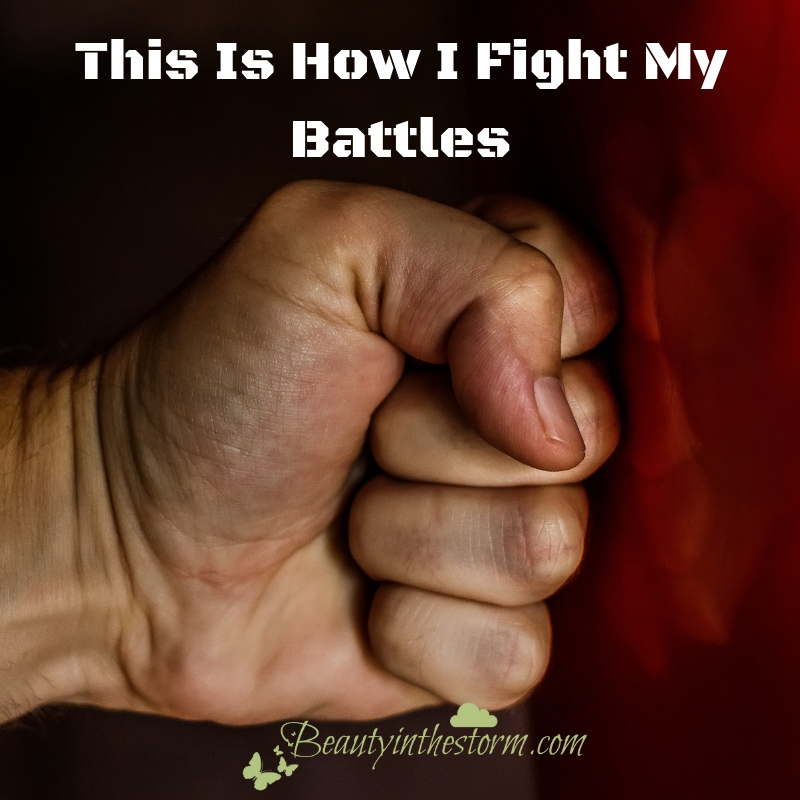 My battles in life may be the same as yours. Or, they may be different. They may leave me scarred, or they may empower me. I choose the outcome of how they leave me. Sometimes it takes longer than other times to make that choice, but I still choose. I decide to choose my attitude. I decide to run to… to cling to.. and to dwell on my God and my faith. I decide to gather as much info, as many resources, and as much Godly counsel as I can. I decide to run into battle with support - not alone. These things strengthen me. They give me peace so I don’t panic. And they keep me in the “light” instead of the ‘darkness’ that creeps to overtake me. I choose to have Scripture verses in prominent places where I can recite them over and over. I want to have Christian songs, podcasts, Bible verses, and prayers play into my ears and my heart. I know when to give myself time alone, and when to saturate myself with the presence of others. These things focus me. They keep my mind on the things above, instead of the things down here on earth. 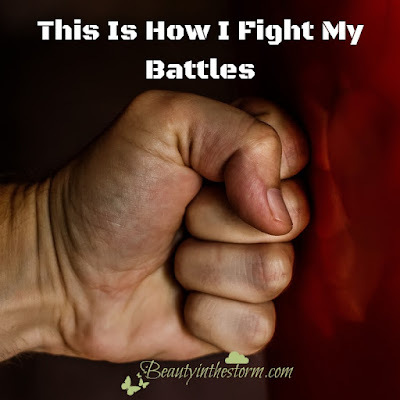 It is how I fight my battles. It is how I am not defeated by my battles. For I never fight them alone. I know that and I embrace that. How do you fight yours?